Meitheal Mara organises a huge variety of events throughout the year, and collaborates with many other organisations in doing so. The high point of Meitheal Mara’s calendar, Ocean to City – Án Ras Mór is Ireland’s largest and most inclusive rowing race, and the anchor for the week-long Cork Harbour Festival each June. The 18-person crews in our regular Dragon Boat Challenges bring the colour and buzz of sprint racing to Cork city centre. A gentler pace of travel is encouraged in our CORKUMNAVIGATION trips for those who want to paddle the Lee right around Cork. We support the annual Rebel RAID for small boats and are partners in the proposed Cork Harbour Blueway. Are you looking for an activity in Cork City which involves fun, adventure, team building and rivalry? Then you have been looking for the Interfirm Dragon Boat Challenge! So form a crew with your colleagues and friends, sign up to the challenge today and try your hand at paddling a 40ft dragon boat. Twice a year teams are invited to take part in a spectacular event. This event, taking place on the River Lee in the heart of Cork City, and has been growing in popularity year-on-year. 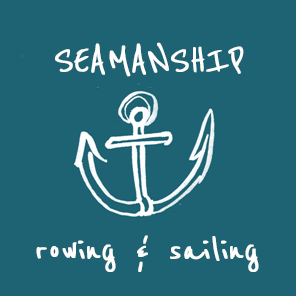 With some of the biggest companies and organisations in Cork participating in the challenge, the rivalry can be fierce both on and off the water. With over 300 participants on the day, the river will thrum and the boardwalk will throb with energy and excitement. Form a seventeen-strong crew and hop aboard one of our impressive 40ft-long dragon boats in a mission to become this summer’s champion of the Interfirm Dragon Boat Challenge. In a thrilling race from the iconic R&H Hall to Cork’s Lapp’s Quay, four of these colourful dragon boats, each with a drummer aboard, will sprint against each other over a distance of 250m. 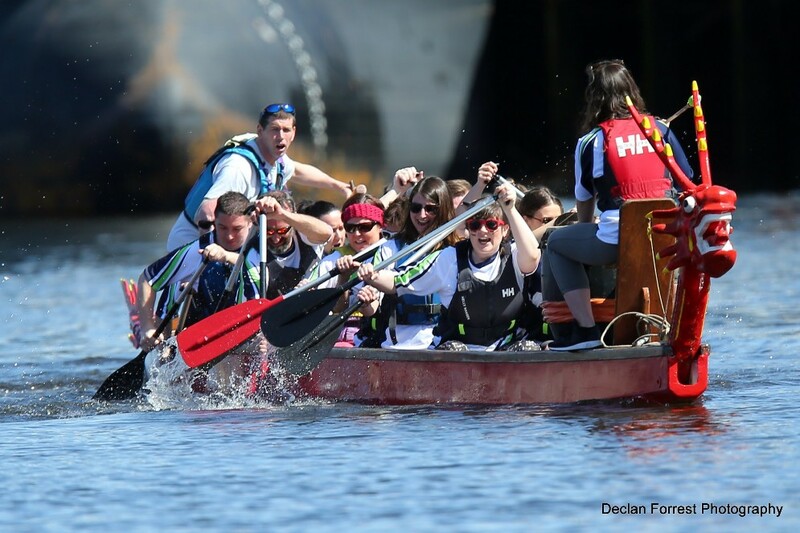 In a series of exciting heats, semi-finals and then a final, 20 companies from all over Cork will compete for the coveted Dragon Boat Challenge Trophy. Don’t forget the Dragon’s Roar trophy will also be up for grabs on the day. Psyche out the competition with your best team chant, battle cry, Hakka or roar and win a trophy for your efforts. Sign up now and let the fun begin! 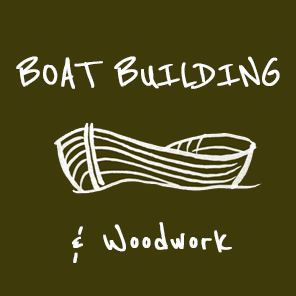 skills through currach and wooden boat building, as well as woodwork and seamanship as the means to help groups of people and individuals to learn, progress and develop. 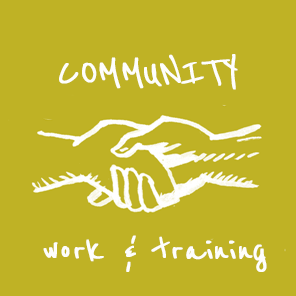 Meitheal Mara in particular provides training to those who are at risk of social exclusion for example young people, those recovering from addictions and people living with disabilities. As a registered charity (CHY 12929), your contribution towards this event is tax-deductible and an ideal opportunity to demonstrate your company’s support. We hope that you will come on board for the 13th/14th Interfirm Dragon Boat Challenge and look forward to hearing from you. Should you have any questions, please don’t hesitate to contact us: dragons@meithealmara.ie / 021 4847673. As this is a hugely popular event places are filled on a first-come, first-served basis. We advise companies to contact us as soon as possible to register their interest. 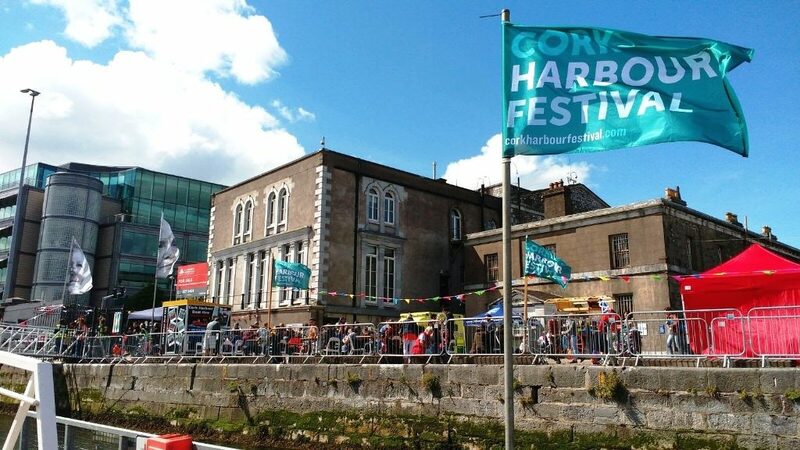 Cork Harbour Festival is the largest annual event in Cork Harbour offering a nine day celebration of Cork’s maritime culture over the first week of June. Kicking off on the June Bank Holiday weekend the festival features 60 events taking place in Cork City as well as in 15 harbour towns and villages. 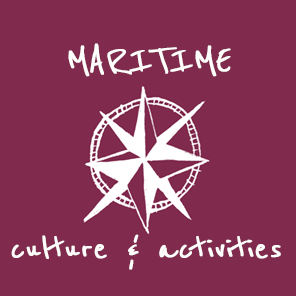 Ocean to City – An Rás Mór and Cork Harbour Open Day formerly existed as two popular one-day events located at different points in Cork’s annual maritime calendar. Both event committees recognised the synergy between the two events and began to work together and share resources. In 2015, Cork Harbour Festival was launched. The festival was shaped on the open day principle, with Ocean to City – An Rás Mór as the flagship event. Since 2015 the Cork Harbour Festival has grown from strength to strength. 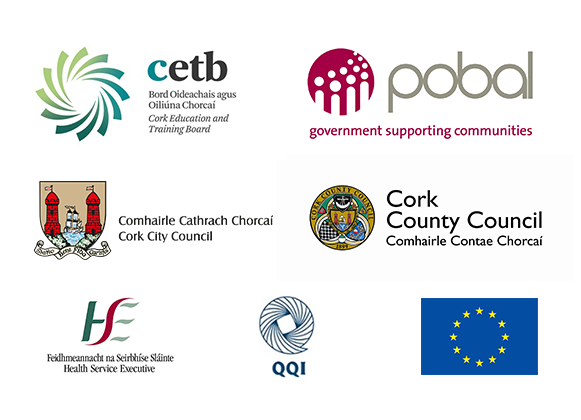 Featuring nine festival days starting on the first week of June, it is packed full of events; all made possible through collaboration with over 40 different event partners in Cork City as well as 15 towns and villages along Cork Harbour. The programme has grown year by year and highlights Cork’s rich heritage and culture as well as water and shore-based activities, with Ocean to City – An Rás Mór at the heart of the festival. Taking place at the centre of Ireland’s maritime paradise, as well as at the gateway to Ireland’s Ancient East and the Wild Atlantic Way, Cork is perfectly positioned to deliver what is now the largest and most engaging harbour festival in Ireland. 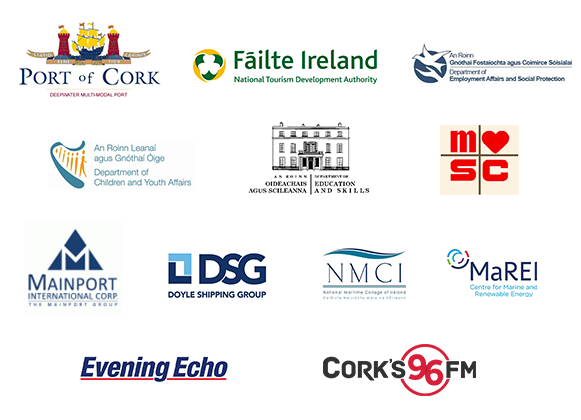 The Cork Harbour Festival Committee includes representatives from Cork City Council, Cork County Council, Port of Cork, UCC MaREI, RCYC, Cobh & Harbour Chamber, IMERC and Meitheal Mara. 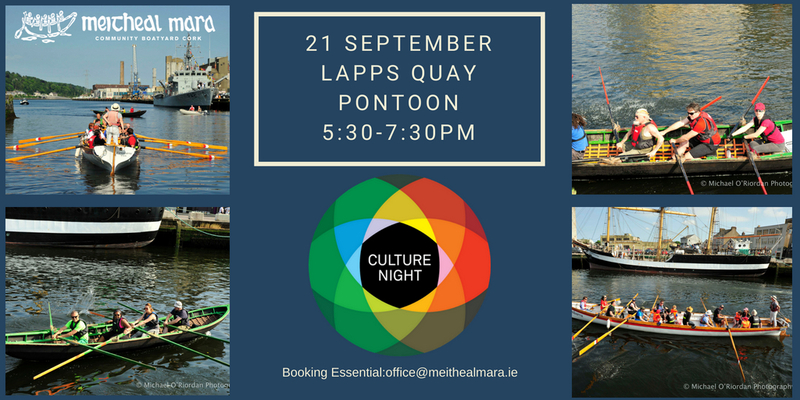 Fionnbarra is Meitheal Mara and Cork city’s Bantry longboat gig (there are six others in Ireland). It is a replica of the oldest boat in the French Navy – an admiral’s barge, built in Brest over 200 years ago, and now in the National Maritime Museum in Dun Laoghaire. The original boat and crew were captured on Bere Island in Bantry Bay in 1796 after the weather foiled Wolf Tone’s invasion attempt with a French fleet. Naomhóga Chorcaí, Ireland’s biggest currach club, is right here in Cork! Naomhóga are working currachs that evolved to meet the needs of people living and working on the west coast of Kerry, and are now largely used for leisure rowing. The club has 8 such boats. 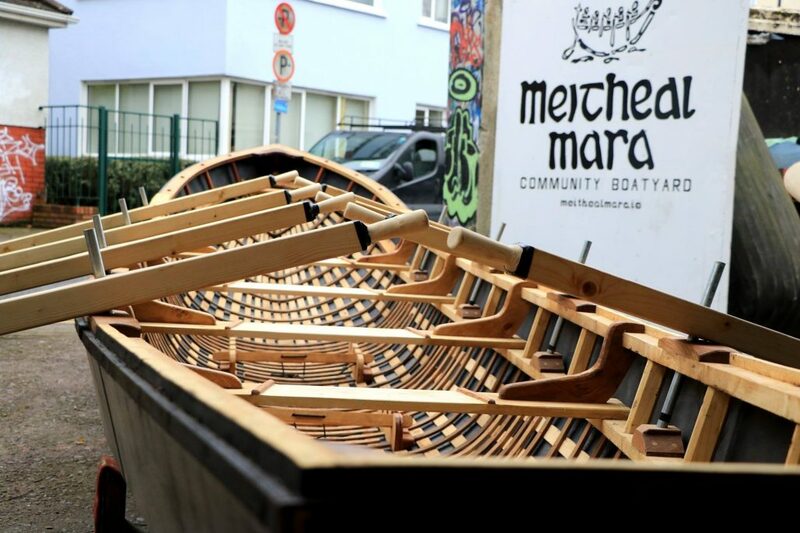 Its also has a number of other currach types including Aran Island racers and Dunfanaghy currachs from Donegal Meitheal Mara and Naomhóga Chorcaí work together to promote and foster maritime culture and traditional currach building and boat handling skills. We are enthusiastic about getting people out on the lovely River Lee, especially those who would not otherwise have the chance to do so. As part of Heritage Week Meitheal Mara will be hosting an open day on Tuesday 21 August from 2:30pm to 4:30pm. Come along to our workshop to learn more about the currach, its various styles and forms and to watch some novice boat-builders work on their Dunfanaghy currach. At 3pm Martin O’Donoghue of Naomhóga Chorcaí will give a talk on ‘The Irish Currach – Heritage, Innovation and Evolution’. Looking forward to welcoming you all on the day!